Guest Blog by Adam Rosenblum, a personal injury lawyer who is admitted to practice in both New York and New Jersey. If you have been involved in a car accident and are unsure of what to do, it is important to understand the best course of action to take. Understanding your rights and how to proceed can help ensure that you are given proper compensation and are well on your way to repairing your vehicle or gathering the compensation to purchase another one. As soon as you are involved in a car accident the first step would be to seek aid by way of calling the police and an ambulance for medical attention if anyone is in need of it. If you find that someone is seriously injured and attempting to move that person would result in further damage, contact emergency services immediately. As police arrive and begin making an accident report, it is important to remember to never admit fault at the scene of an accident to the other driver, police, or even persons that were in your vehicle at the time the accident occurred. When the police begin the process of filing an accident report, make sure all information is filled out accurately and correctly. You should get the name, license number and other essential information from the other driver involved in the accident. If the police officer issues you a traffic ticket in connection to your accident, it is important that you seek the advice of an attorney to protect your rights. If the accident has left you injured or has resulted in damage to your vehicle or the other person’s vehicle, it is important that you file a claim with your insurance company. Filing a claim is the best way to get legal compensation and help yourself or anyone else involved in the accident get on the path to medical recovery (learn more: Xarelto lawsuit compensation) or monetary damages for your vehicle. As soon as the accident occurs you should exchange insurance information with the other drivers involved. This step is especially important if you were not the one at fault during the accident as you could potentially end up paying a higher deductible fee after an accident. Document any damages that occurred by taking pictures of the accident itself and the surrounding environment. The insurance representative will also take their own set of photos, but pictures will help in explaining your own personal experience in the accident. All states require by law that drivers insure their vehicles in order to legally operate them. This prevents any potential mishaps that might occur when getting into an accident with the other driver not having insurance and covers both yourself and others in your policy from personal injury resulting from an accident. If the other driver does not have insurance, then it is important you call the police to make a report. Your own insurance policy also helps cover you if the other driver involved in the accident does not have his or her own insurance. If you find yourself struggling to receive a claim for either monetary damage or a personal injury settlement resulting from a car accident, contacting an experienced personal injury attorney will get you well on your way to successfully gaining compensation and reduce an liabilities that you might forced to pay as a result of the negligence of another party. 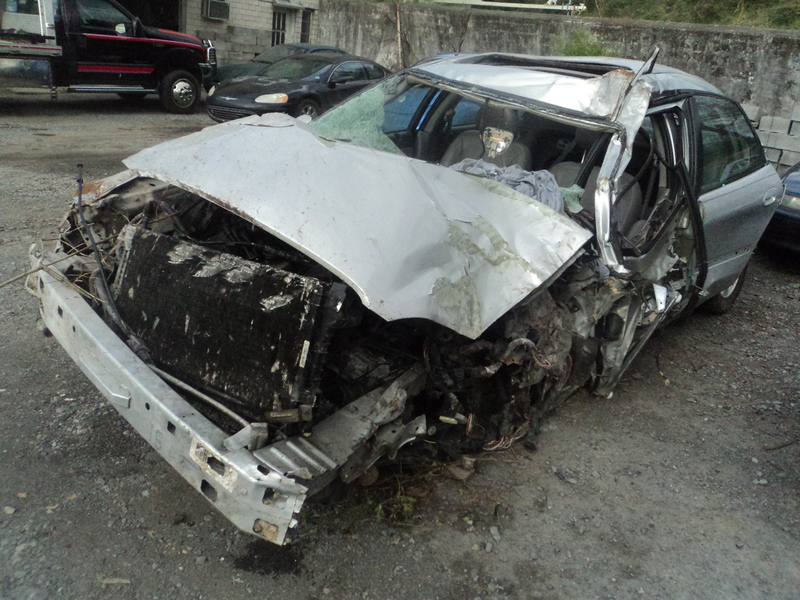 Welcome to the WV Accident Blog by Jeffery Robinette. Adam Rosenblum is a personal injury attorney licensed to practice in New York and New Jersey. For more information concerning car accidents in New York and New Jersey, visit Adam Rosenblum at personal-injury-nj.com and rosenblumlawfirm.com. Indeed, it is crucial to know your rights when you get into auto accidents. Also, it is important not let the driver who is in fault to intimidate you and make you feel guilty which might be confusing to the police when making a claim. Therefore, when in doubt, it is best to contact the personal injury attorney for a consultation. Great article here. It’s incredibly important to know your rights in any legal matter especially when it comes to car accidents. I also appreciate that you explain how to file a claim and how to claim damages. Both topics are incredibly important in these cases!